t a menopause policy started with working in partnership with Henpicked. Our organisation was oblivious to the needs of those affected by menopause. Our academics for the Governments Equality Office highlighted the need to raise awareness about menopause and its effects. Henpicked and the team did amazing work to develop and implement the program of inspirational and practical solutions to bring it into business as usual – normalising the conversation. 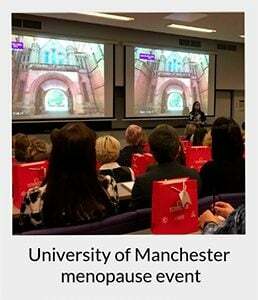 Our Menopause Event drew big audiences, internal and external to the University. 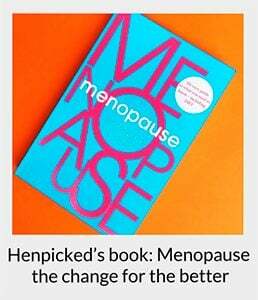 The Henpicked team’s superb menopause and communications expertise were essential in ensuring our literature and promotion of this event were a success. A professor who teaches has now rewritten a module to not just touch on menopause but to give it the attention it deserves. That was a result we weren’t expecting. "There is never a right time or a quiet time to run a menopause campaign so we just decided to 'go for it'. Henpicked makes the planning stages easy. Despite our campaign being complex and across multiple sites they adapted their media toolkit and understood our culture. I wouldn't hesitate to work with them again, the feedback I have received from all levels of the business has been great. People are talking about menopause and women are feeling empowered that this has been recognised!" "A really interesting and informative menopause training session with excellent speakers! This session has provided valuable guidance on implementing a menopause programme in the workplace and I intend to make this a key target for this year." 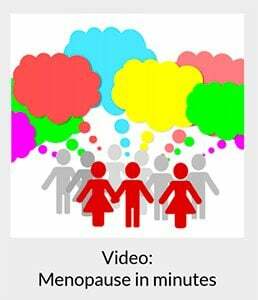 "Henpicked produced a video for Yorkshire Water about menopause. One word - EXCELLENT." "Thoroughly enjoyable and thought-provoking menopause conference which left me feeling knowledgeable and inspired to take action!" 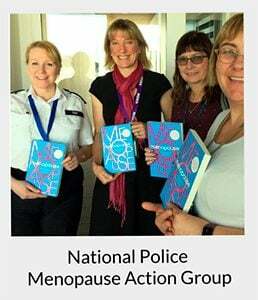 "The Police National Menopause Action Group had the pleasure of working with the Henpicked team. Right from the start, they immersed themselves in understanding what was needed to create a menopause conference to both celebrate what we have achieved so far and also provide foundations from which forces can develop their understanding. They are passionate and professional and come with our high recommendation." "Thank you so much for the Menopause Training Sessions you delivered for us. They covered a lot of information, delivered in concise chunks that were easy to absorb. The structure was clear, logical and effective. There was obviously a lot of thought and expertise into designing it. The menopause training was extremely professional and the format was perfect. The support and information received have been exceptional - they really couldn't have done anything more to make the events such a success." "Thanks so much for coming into the National Theatre yesterday and delivering a brilliant menopause training session to our staff!" "The menopause training sessions were inspiring, engaging and relevant. The feedback from attendees has been very positive. As a result, we will be setting up a Menopause Support Group for staff"
“The fire service is committed to raising awareness of the importance of menopause in the workplace and the business benefits to having a diverse and inclusive workforce. 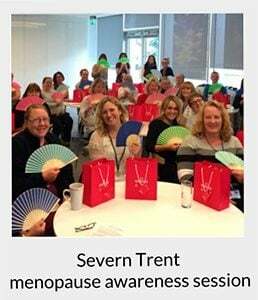 The menopause training during National Inclusion Week was great and quickly got people talking and thinking about the topic more, especially around exercise and fitness." "I was very pleased to attend the Menopause in the Workplace conference. It was great to have both private and public sector employers in the same room where we could learn from each other. I have taken initiatives from the conference and started to implement them within my own Police Force"
As part of our equalities and wellbeing agenda at Charnwood Borough Council, we felt it was time to remove the taboo around menopause and Henpicked supported the organisation and our employees. Many thanks for the menopause training and for the help and support, so that the Council can begin its journey in ensuring the right support is provided to those that need it." "I attended Henpicked's Menopause in the Workplace event and found it very informative and truly inspirational. The speakers were of a very high standard." "A heartfelt thank you from myself and my colleagues who had the privilege of attending your menopause training today. It was superb." " Very friendly, an open atmosphere, so it was easy to raise those awkward questions you may be afraid to ask. The whole afternoon of menopause training was very informative and a real eye-opener. Excellent speakers who really know their subjects." "An interesting topic which will affect over half the population in the UK. This menopause training course provides an insight into the causes, effects and what support as people, colleagues and leaders we need to consider to maximise the contribution women make to the workplace." 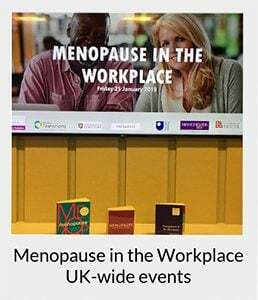 "The Menopause in the Workplace event was a total eye-opener and it has given us a good platform from which to build a taboo subject into something which becomes an everyday topic in the working environment."